In the last blog I showed the runtime components we added to make it easier for you to localize your applications. 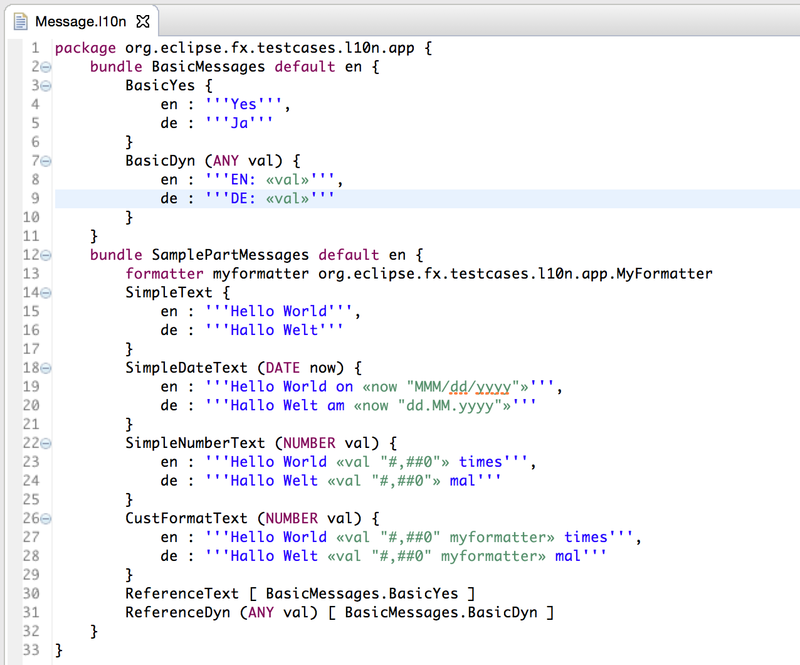 In the following blog I’ll show you the tooling support we added. 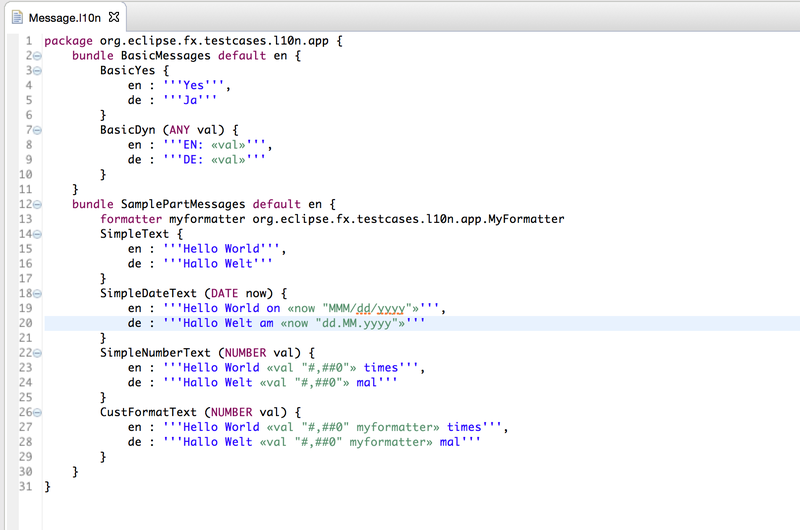 I’ve already stated in other posts that one of the strengths of e(fx)clipse is that tooling and runtime are developed side by side while you can use all runtime stuff without the Eclipse IDE using Eclipse as the development environment makes your life much easier. “Quite a bit of work to write and keep up to date” i hear you saying and you are right! So we need to improve, right? In an ideal world we’d have 1 file holding all the informations and generate all files from it! So we need some special language which allows us to collect all information in one file – or put differently a DSL! another QuickFix, looks much better now. But now I’ve got the question what does the minus infront of the formatter properties mean? formatterMap.put(“-date”,_date); // <<< what does this "-date", same for the number? does it have any special meaning or is it just a name? What does the FXML look like with this method? What is bound to what in the FXML? I tried with the XML text attribute have a leading “%” like normal FXML and that threw a exception at run time. I tried without the leading “%” and the text is not translated. A FXML snippet would help.